GreenRoad’s live GPS for fleets helps organisations Make faster, better decisions and utilise fleet resources more efficiently with real-time visibility of your vehicles’ and drivers’ locations and statuses. 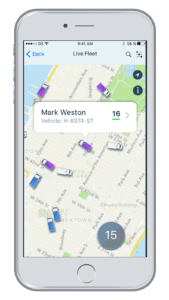 Live fleet tracking also informs your entire team of changing traffic conditions that might impact scheduled trips and tasks. See a display of fleet vehicle clusters in the geographic zone you’re serving. Easily access all of your fleet vehicles and resources on a dynamic live map, across multiple locations or regions. 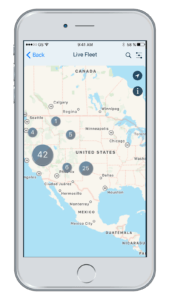 Quickly see the status and location of all your fleet resources whether on the move or parked. Get a filterable, real-time view of your entire fleet to make more informed dispatch decisions and improve service, productivity, and customer satisfaction. Better respond to unexpected changes or deviations from plan with quick and accurate information about the current status of your fleet vehicles and their drivers. Locate the nearest or most qualified employee or resource for the task. Custom filter any search in real time, using pre-set qualifications, level of expertise, fleet equipment availability, or other attributes important to your operations. Identify teams and resources available for a task based on status, ETA, and distance, so you can react more quickly to emergencies and make better dispatch decisions. Integrate GreenRoad with your fleet dispatch system to identify and route your resources quickly and easily.